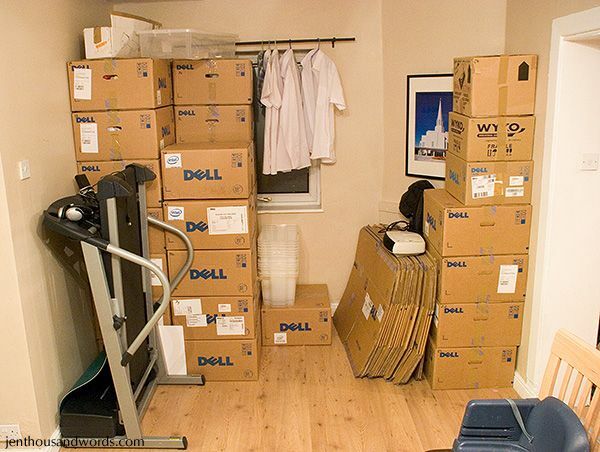 While packing it helps to have one place to stash all of your full boxes. Try to pick a room that is out of the way enough that family life can still go on around it, and if possible make it a ground-floor room rather than one that is upstairs. In one of our former homes we took the legs off of our dining table and used that room to gather packed items. 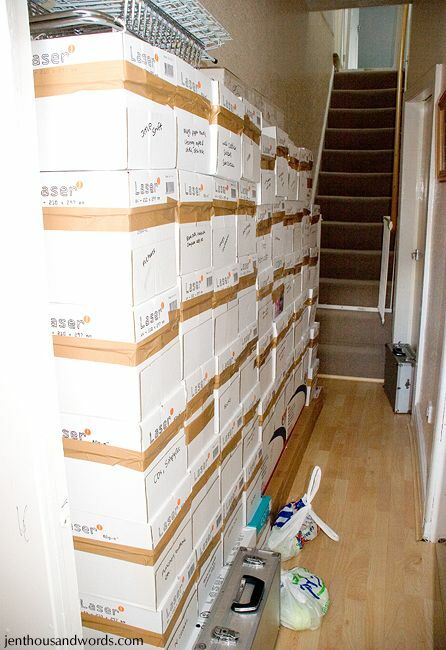 In another house it was the dining room again that became the catch-all place to store the boxes. 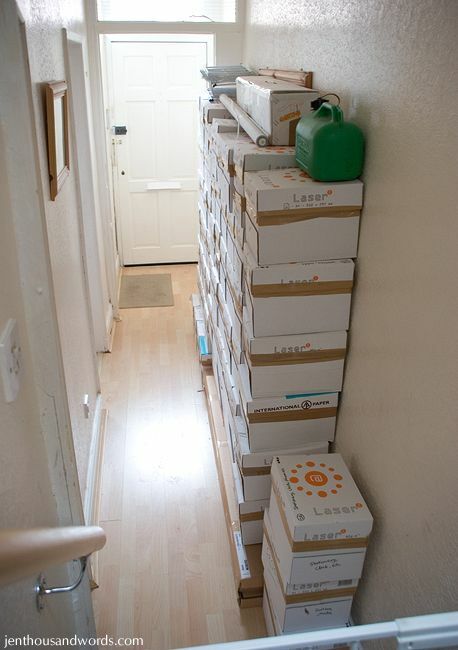 When we used typing paper boxes, which are comparatively small, we found that stacking them in the hallway worked. 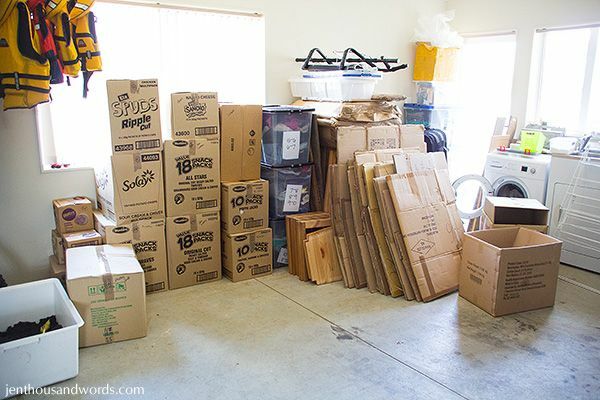 We are currently stacking boxes in our garage. 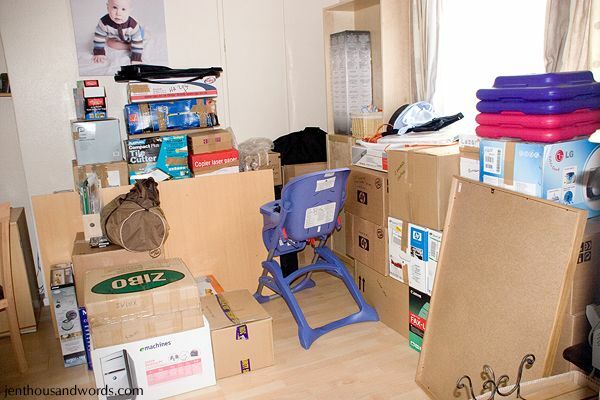 Having everything in one spot rather than scattered through the house makes packing easier because you can see and deal with what still needs doing without dancing around piles of boxes. 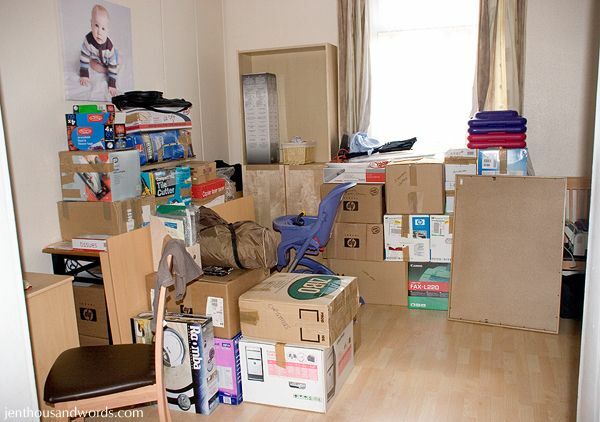 It also helps you to judge what size van you might need if you are doing a self-move and helps you avoid living amongst boxes that are scattered through the house. And on moving day it is much easier to move items from one spot than to traipse around the house hauling boxes.